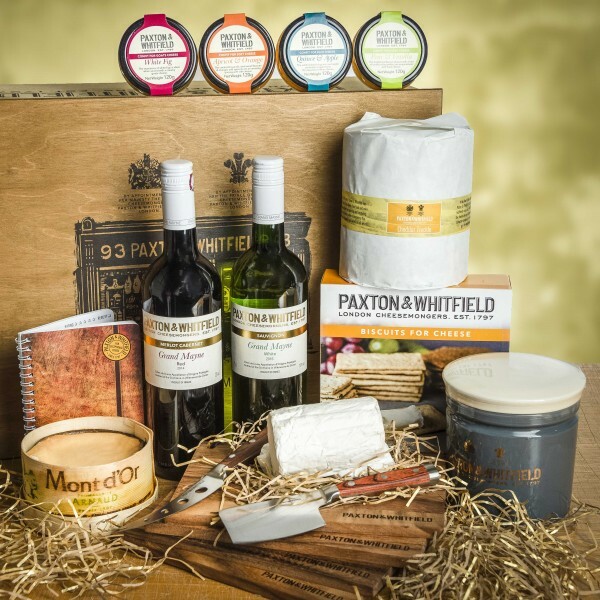 A decadent collection of artisan cheeses and fine foods accompanied by Paxton & Whitfields cheese board essentials. This decadent collection comes with your own cheese tasting journal for you to make notes about which cheeses you like. Mont d'Or is characterised by fluffy white moulds, turning grey or blue with age. The cheese can pull away from the spruce bark as it ages and can be brown and even black where it has been in contact with the wood.